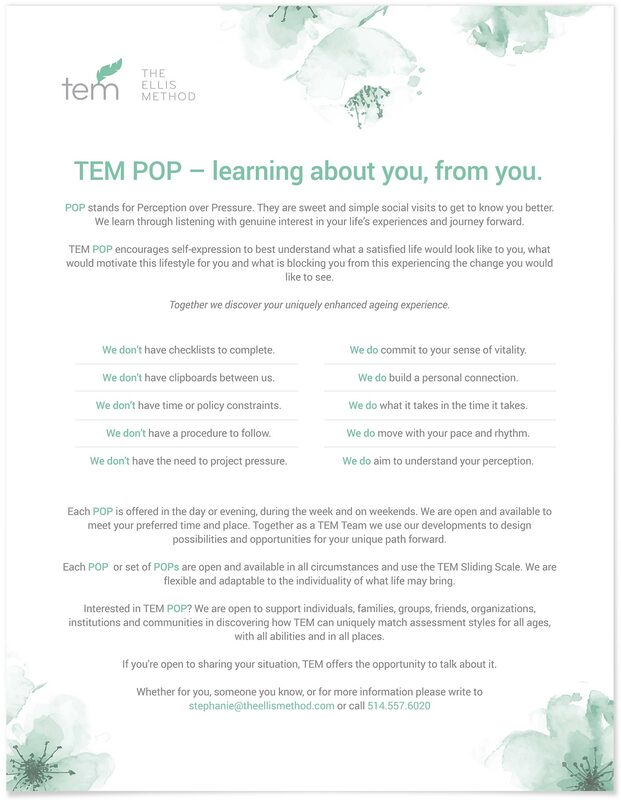 With no clipboards or tests between us, TEM POP turns assessments into developments by valuing your Perception Over Pressure. Whether as a individual or a team of supportive relationships, see how our journey together takes off. View the PDF below or contact us to learn more.